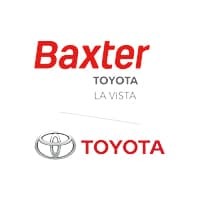 Whether you’re looking to finance a new Toyota RAV4 or lease a new Toyota Camry, you can count on the Toyota lease and finance specials at Baxter Toyota La Vista to help you save. Our Toyota dealership near Bellevue, NE, has a variety of exciting new offers available just for you, so you can enjoy a high-quality Toyota at an affordable price. Shop our new Toyota specials, then head to our La Vista Toyota dealership to test-drive the Toyota models you’re most interested in. Our Toyota sales specialists are on site to answer all your questions, while our dedicated Toyota finance specialists can help find a financing rate that’s best for your lifestyle and budget. Be sure to check back online often, as we regularly update our Toyota finance and lease offers. Contact Baxter Toyota La Vista with any questions or stop by our Nebraska Toyota dealership to take advantage of these savings today!